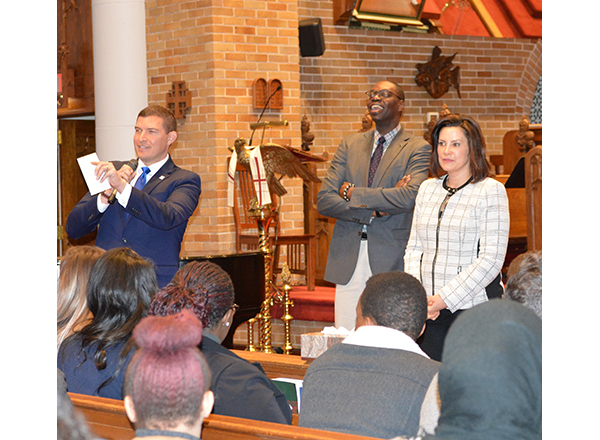 Left to right: HFC President Russell Kavalhuna, Lieutenant Governor Garlin Gilchrist II, and Governor Gretchen Whitmer take questions from students at the Michigan Student Lobby March 20. More than 200 college students – approximately 150 from HFC alone – went to Lansing, where they met with Governor Gretchen Whitmer, Lieutenant Governor Garlin Gilchrist II, Speaker of the House Lee Chatfield, and more than 60 state representatives and state senators, at the Michigan Student Lobby March 20. The main topic was the cost of higher education. “Very good questions came from the students. The majority of them focused on higher education. Students expressed their concerns about taking out loans to pay for their education,” said Cynthia Stiller, Associate Dean of the HFC School of Liberal Arts. 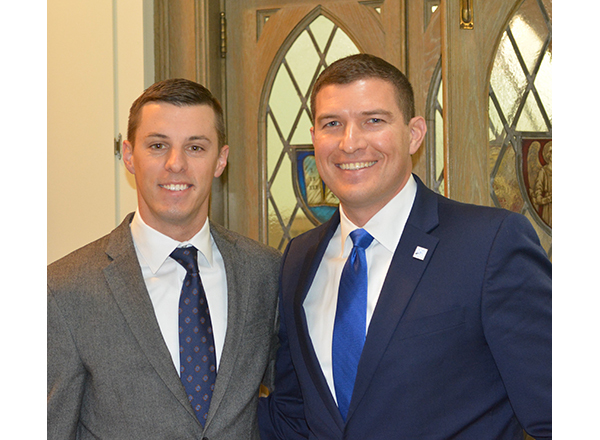 Stiller attended the event with political science professors Dr. Anthony Perry, Dr. Eric Rader, and Robert Yahrmatter, along with HFC President Russell Kavalhuna. 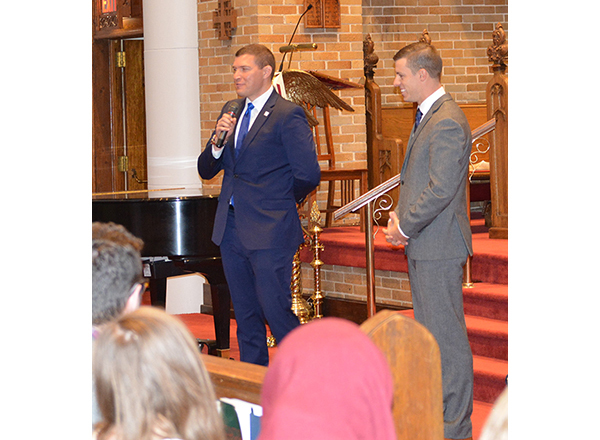 The students met with Whitmer, Gilchrist, and Chatfield at St. Paul’s Episcopal Church in Lansing, across the street from the State Capitol. Kavalhuna was emcee for the discussion between Whitmer, a Democrat, and Chatfield, a Republican. 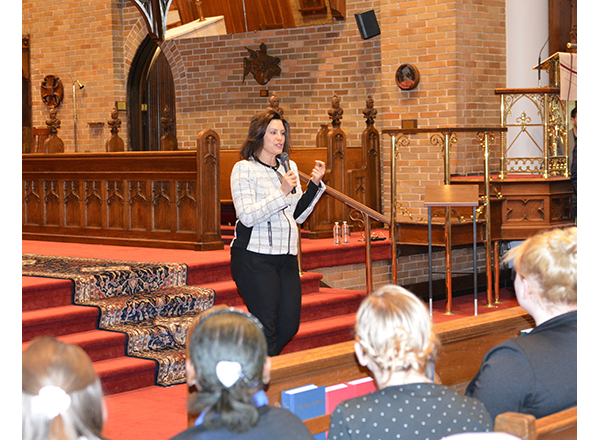 Whitmer, who visited HFC March 14, addressed the students’ concerns and spoke about the roads, the budget, and the Michigan Opportunity Scholarship. The Scholarship idea would provide tuition-free community college education to Michigan residents. Whitmer, Gilchrist, and Chatfield fielded numerous questions from the students, which also included discrimination and hatred toward ethnic and religious minorities. In fact, many students partnered with “Take on Hate” to address these concerns. Perry acknowledged the hard work and dedication of the student leaders who organized this event. HFC alumna/University of Michigan student Nesreen Ezzeddine, HFC student Elyias Perry, and University of Michigan-Dearborn student Nour Khudhur took the lead. They arranged the students into groups that met with multiple legislators. Prior to this event, they held a Lobby Day Training March 14 at HFC. 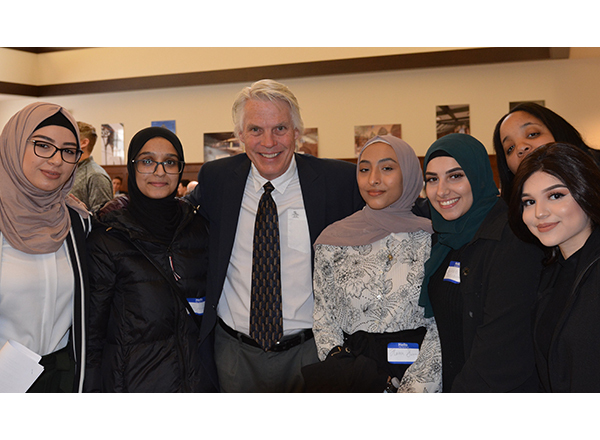 This is the third time students from HFC participated in the Michigan Student Lobby, an event organized by the Michigan Democracy Institute Consortium to give students an opportunity to engage with policy makers in Michigan. The Democracy Institute is a group of professors, students, and community organizations working together to promote engagement in the democratic process and community affairs among college students. 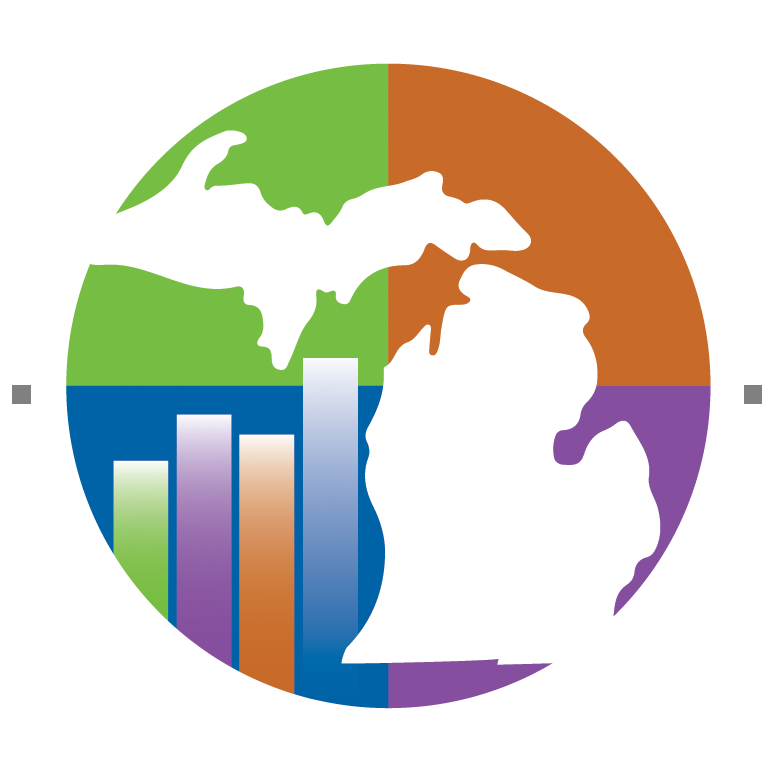 Students who attended Lobby Day came from HFC, Oakland Community College, Eastern Michigan University, Wayne State University, U-M, UM-Dearborn, and Michigan State University. Speaker of the House Lee Chatfield and HFC President Russell Kavalhuna. HFC President Russell Kavalhuna and Speaker of the House Lee Chatfield talk to students. Gov. Gretchen Whitmer answers questions from students at the Michigan Student Lobby. HFC political science instructor Robert Yahrmatter (center) is surrounded by an enthusiastic posse of students. 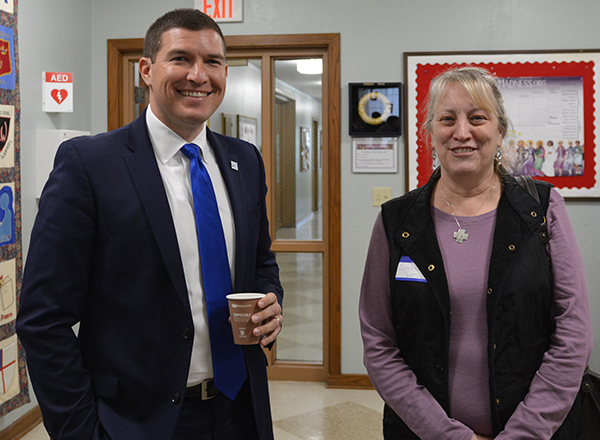 HFC President Russell Kavalhuna and Cynthia Stiller, Associate Dean of the HFC School of Liberal Arts.